In around 5 week the time for EME in Lingen comes again. 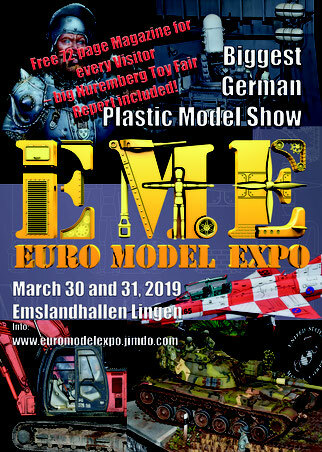 Together with more 20 enthusiastic modellers from the modelling team of Düsseldorf you will find me at nice big exibition stand this year again. Most probably you will see one of the most stunning competition areas of Germany's modellers society. This year 2 of or guys will support Berholds judging team to evaluate outstanding works in different competition categories. We will see you in Lingen! Since I am currently taking a little break, I finally find time to take some fancy photos models. Long overdue ... The first new album is my Lifeboat from 2016.